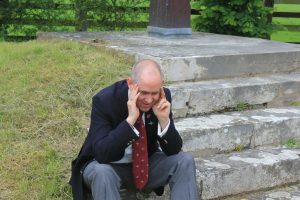 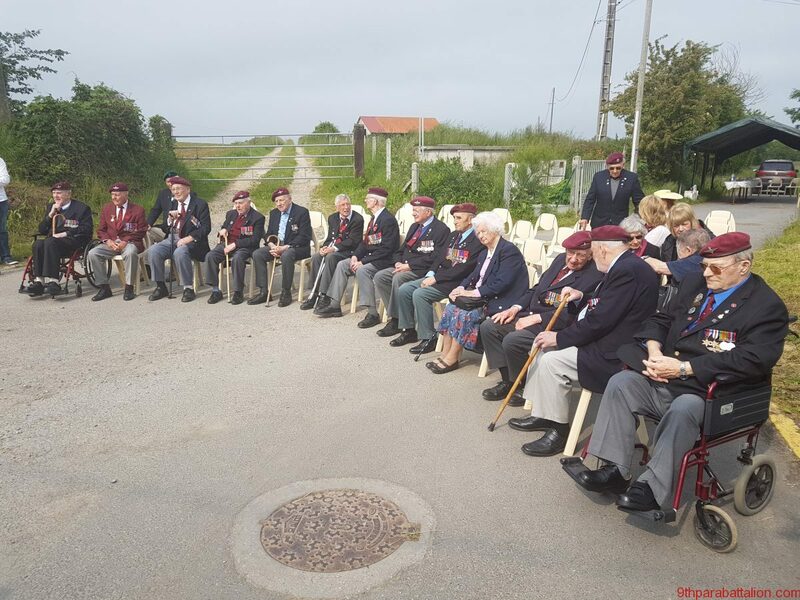 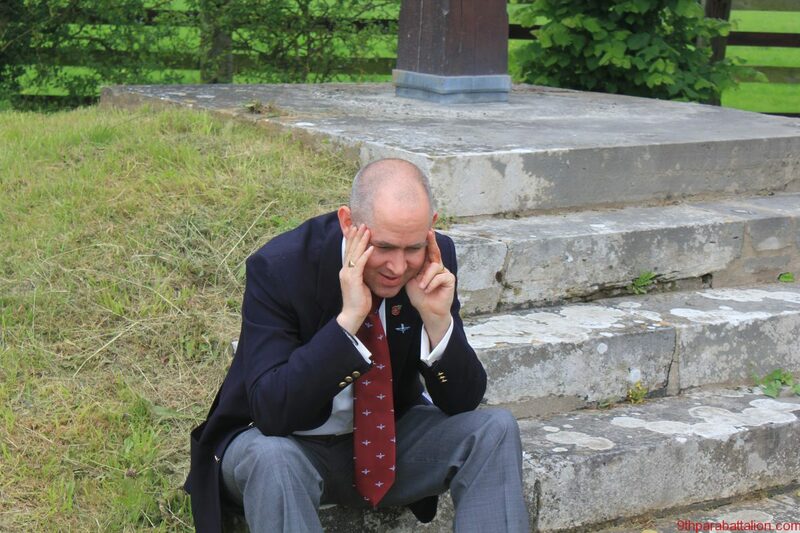 Mark Otway sitting at the same spot on the Calvary Cross where Lt Col Terence Otway sat with his head in his hands after the battery assault. 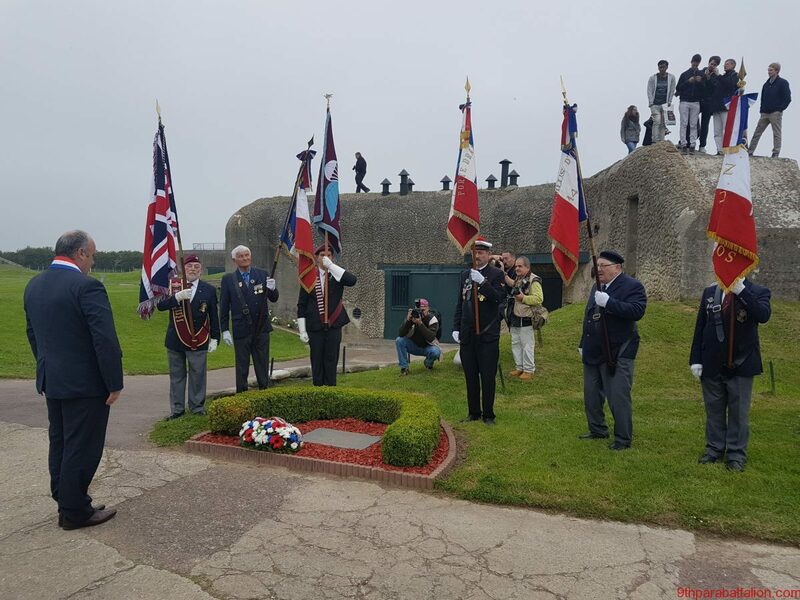 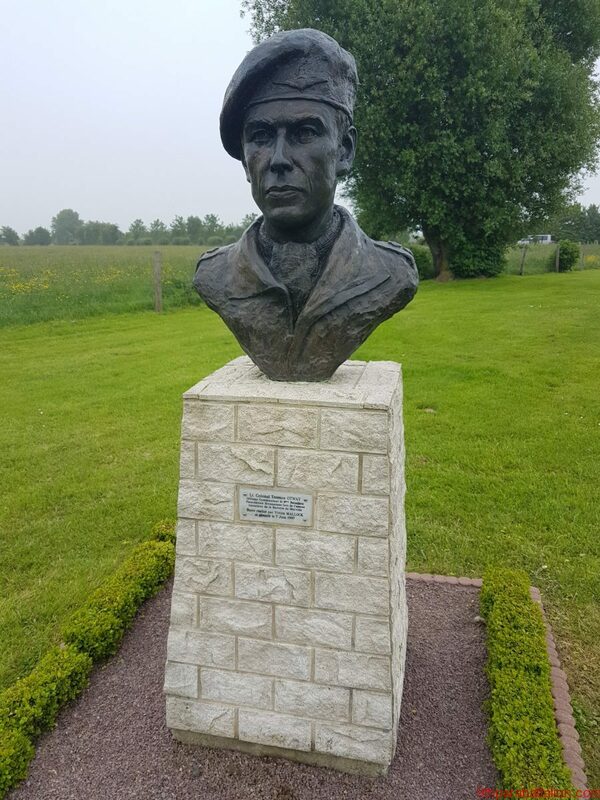 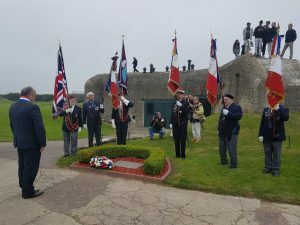 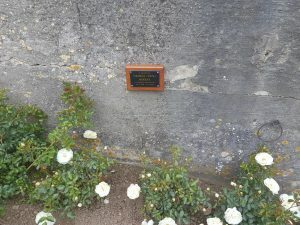 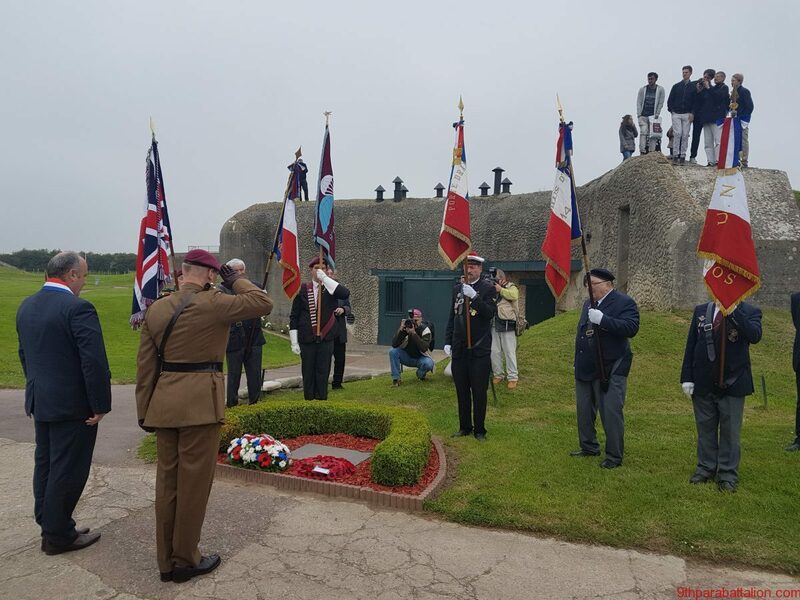 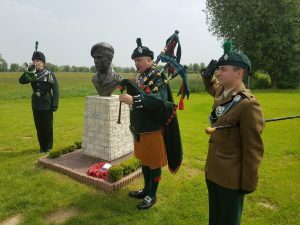 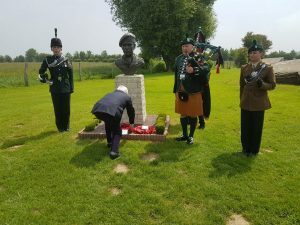 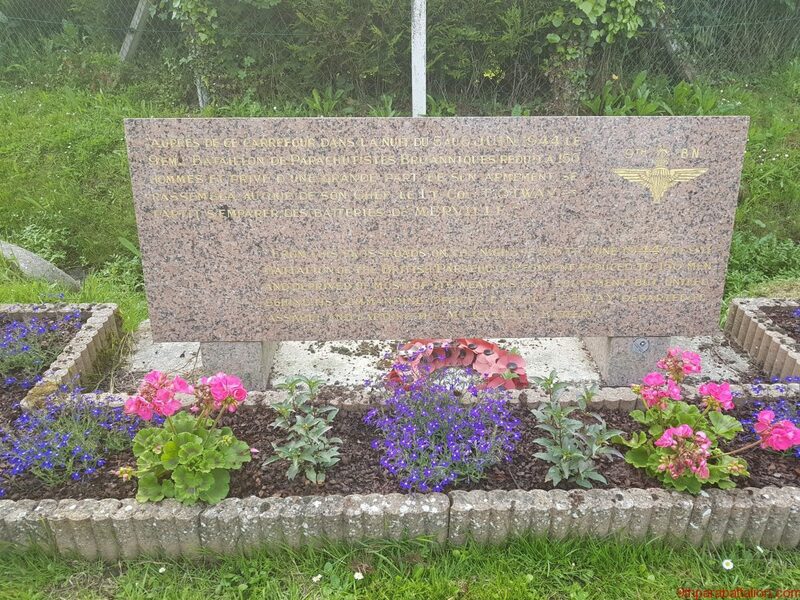 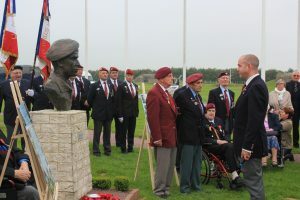 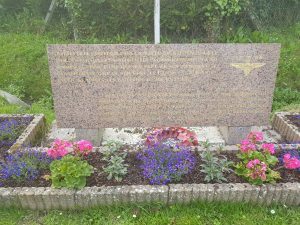 The bust of Lt Col Terence Otway at the Merville Battery. 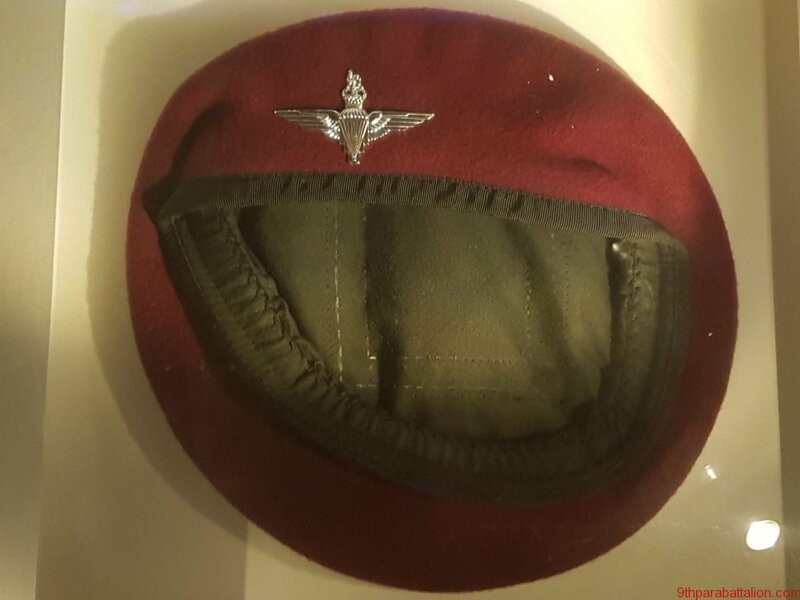 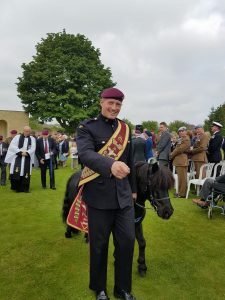 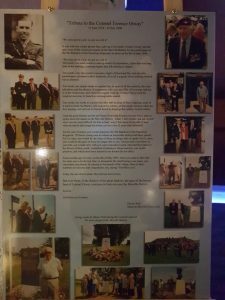 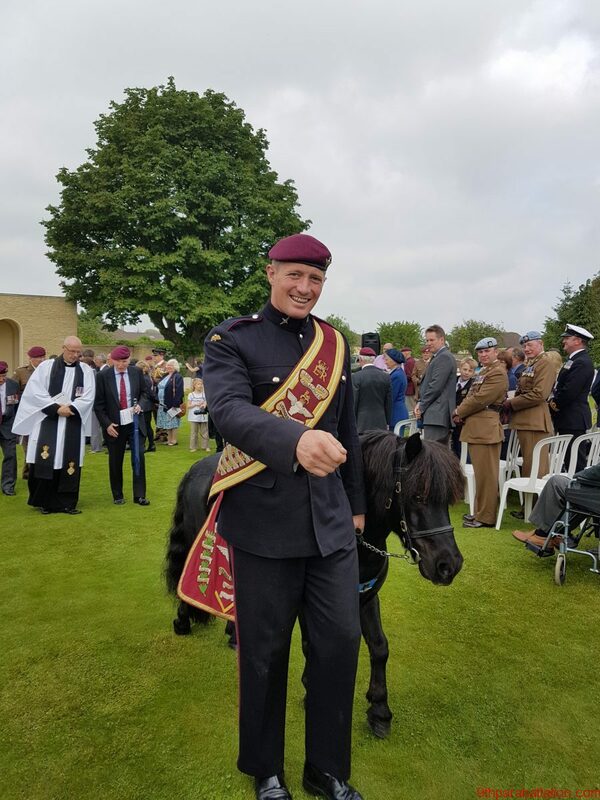 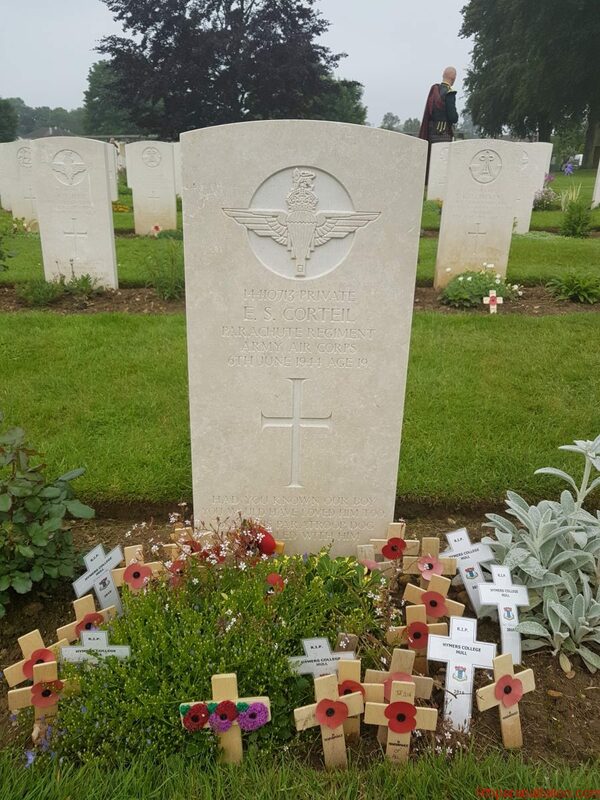 A tribute to Lt Col Terence Otway, on the 10th anniversary of his death. 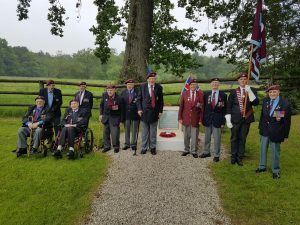 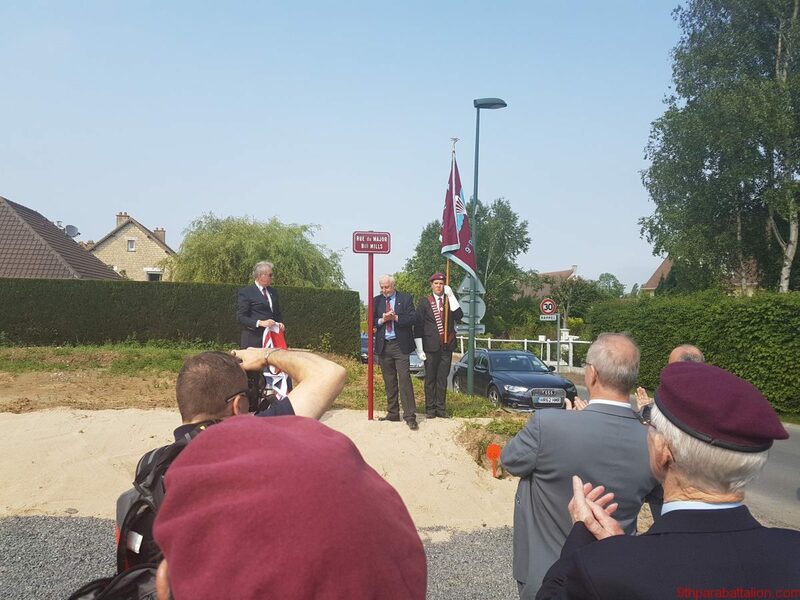 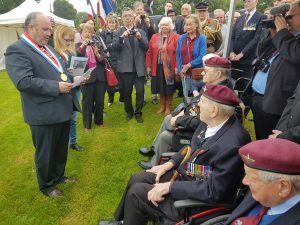 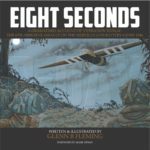 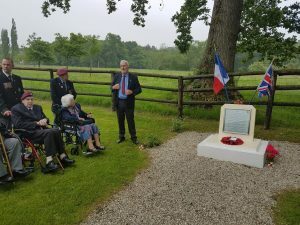 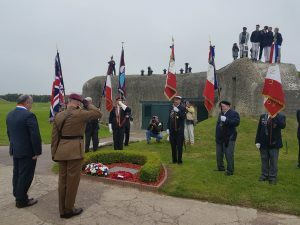 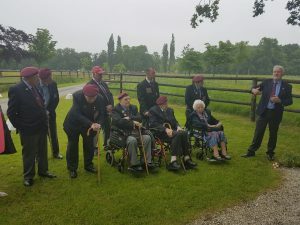 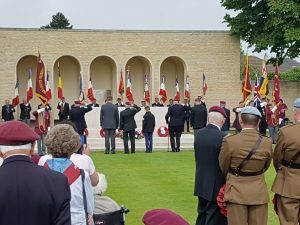 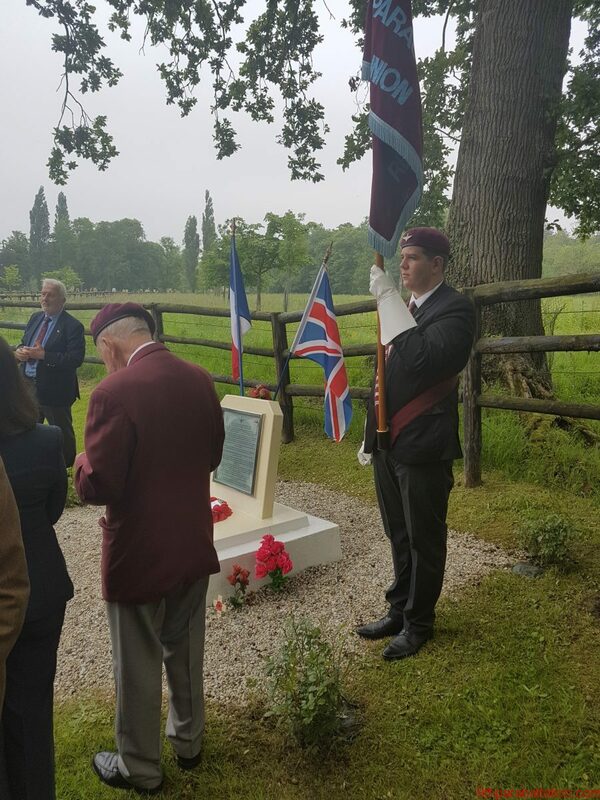 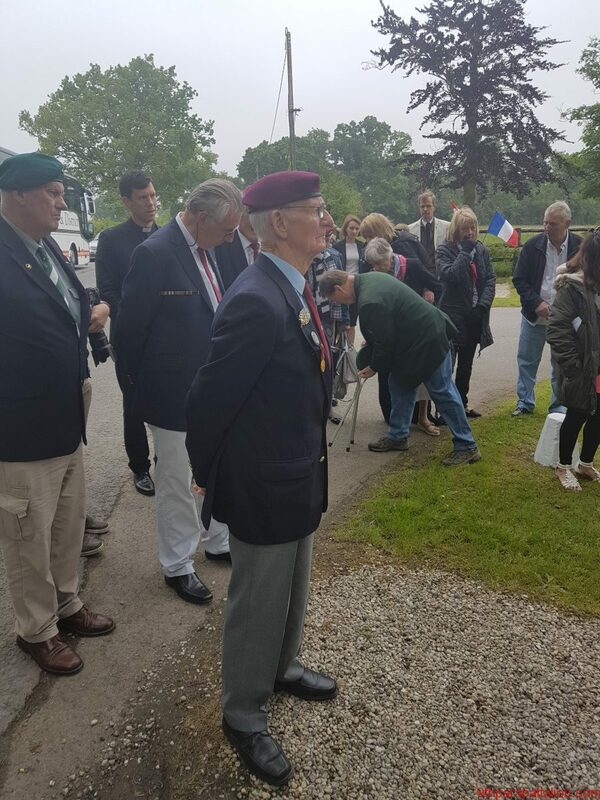 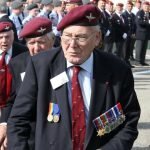 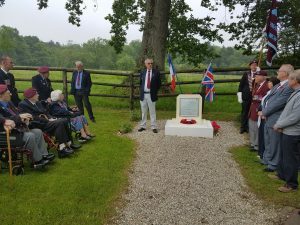 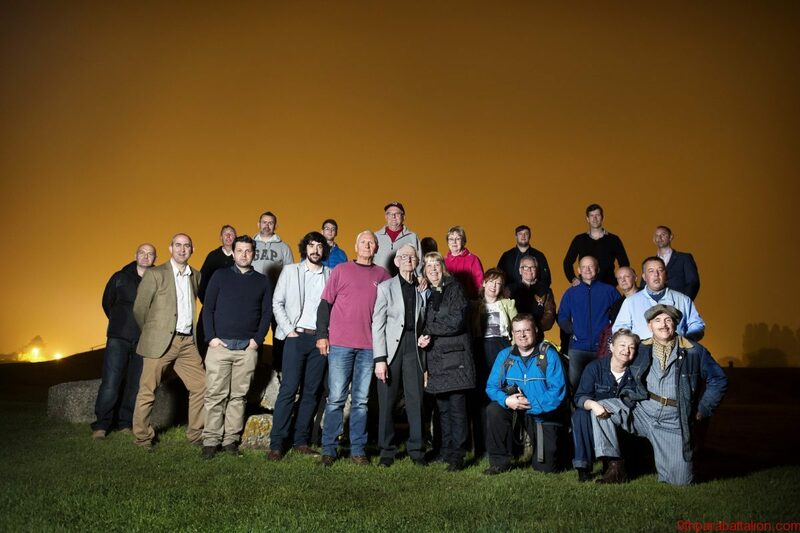 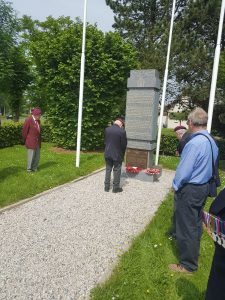 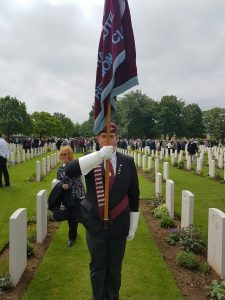 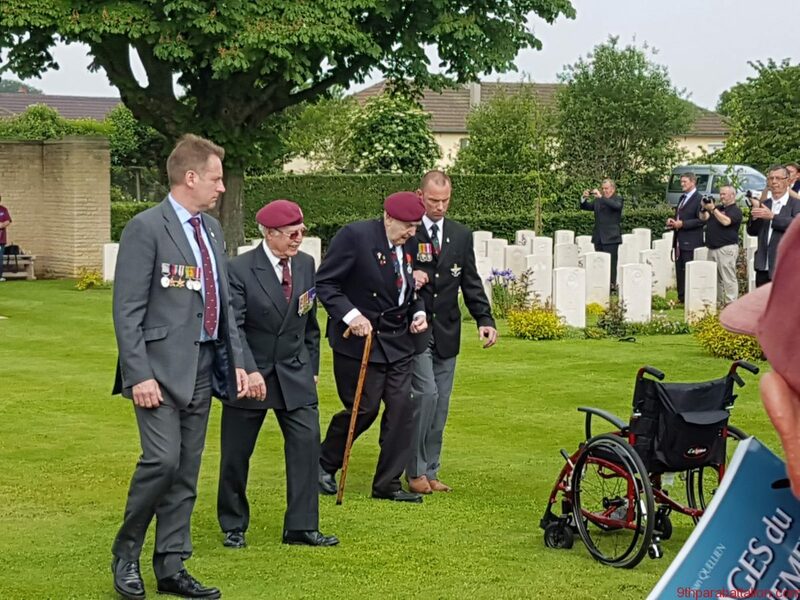 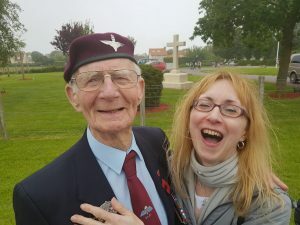 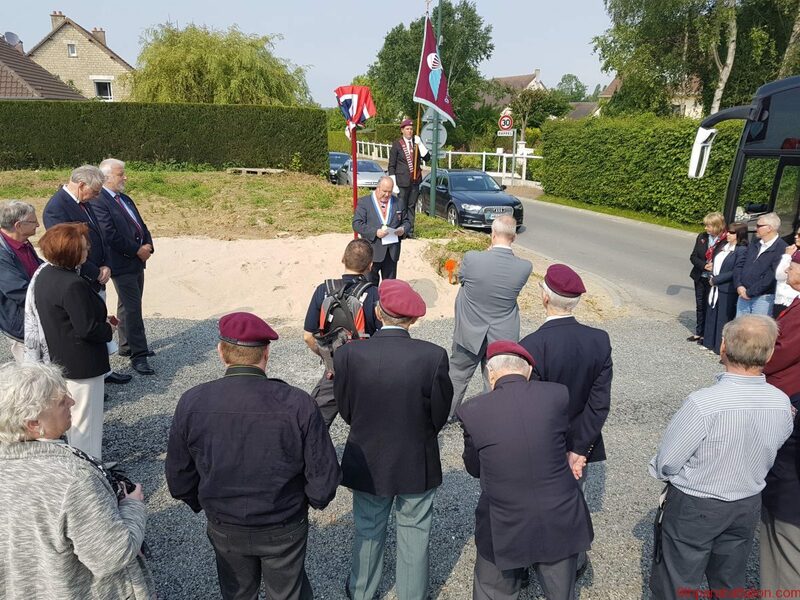 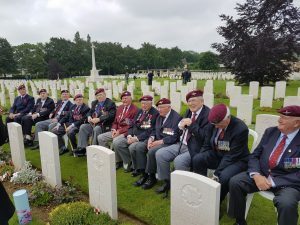 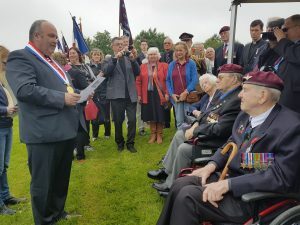 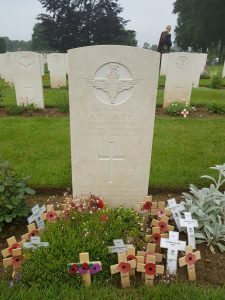 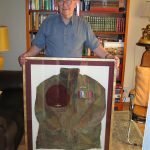 Early in the morning of ‪June 6th 2016‬, a group of us from the 9th Battalion reunion club, with some other friends of the 9th, walked from the RV point at Gonneville-en-Auge, to the Merville Battery - retracing the steps of the 9th Battalion as they prepared to attack it. 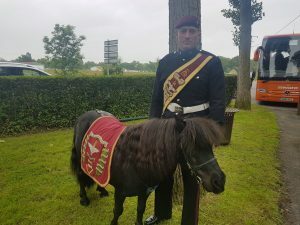 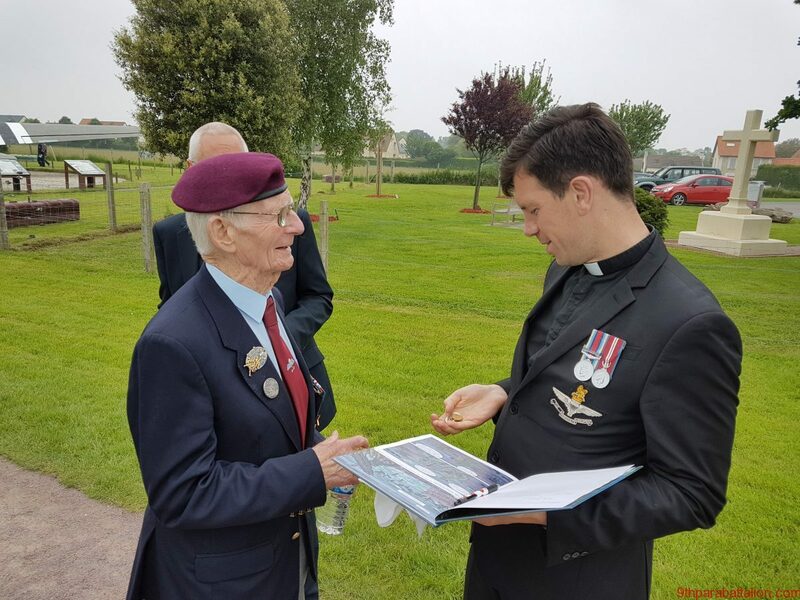 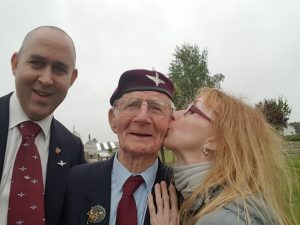 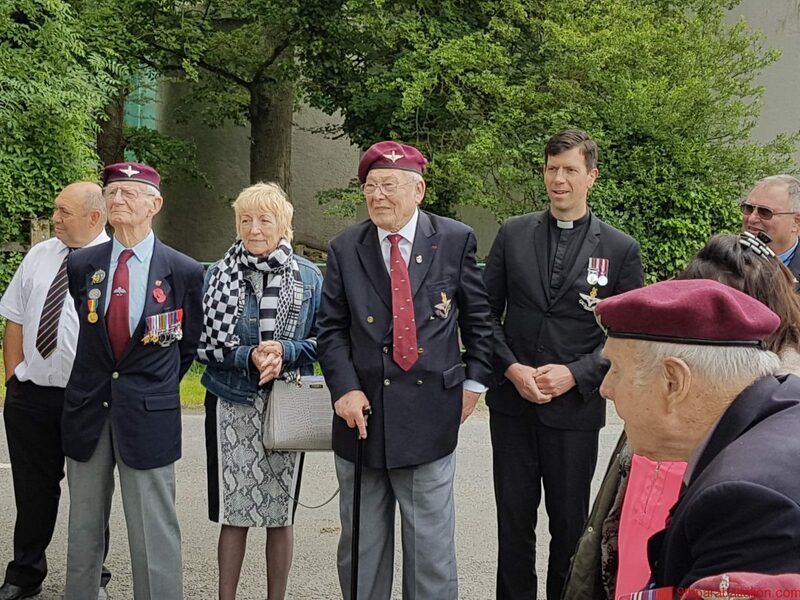 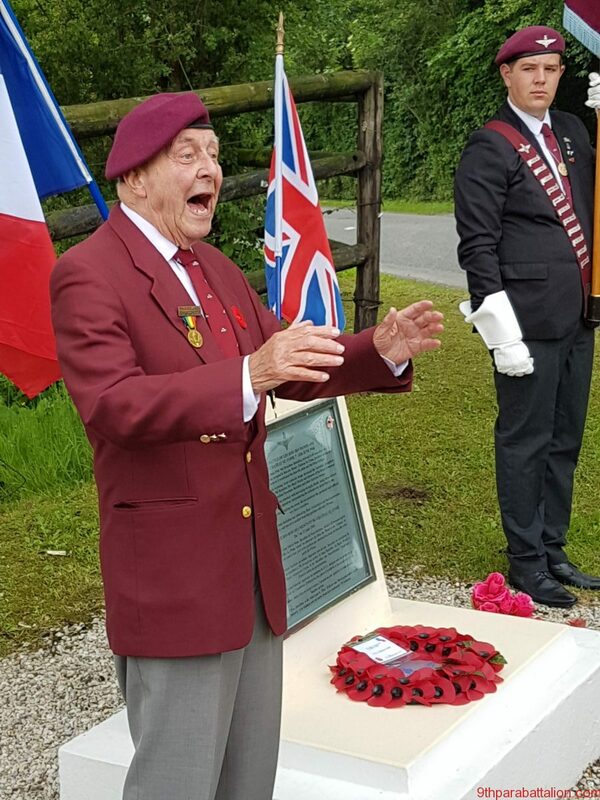 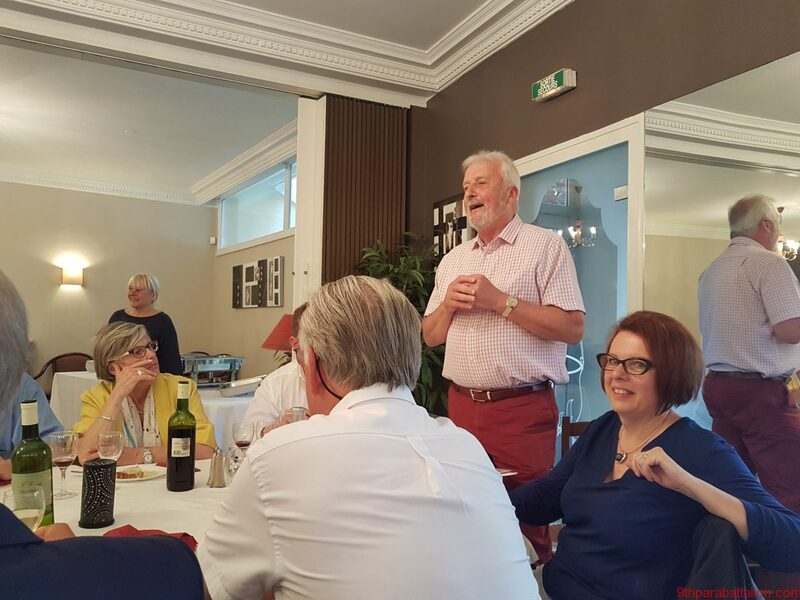 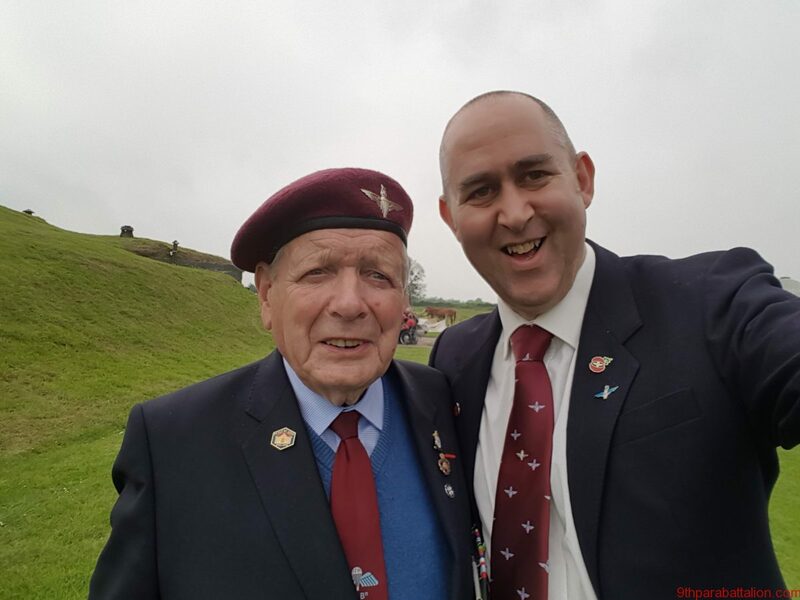 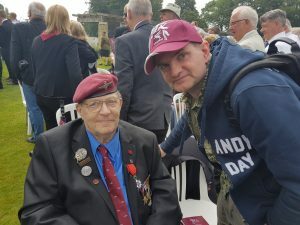 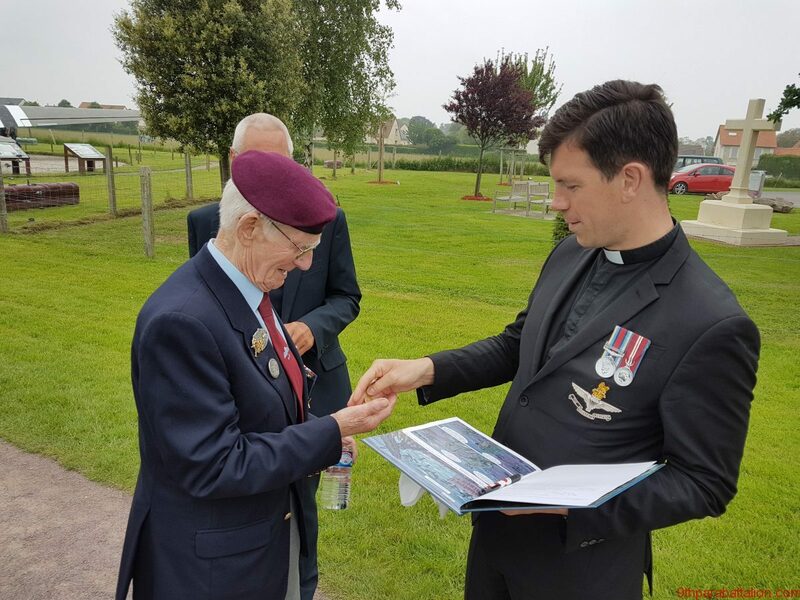 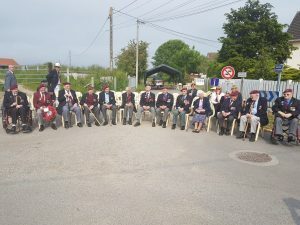 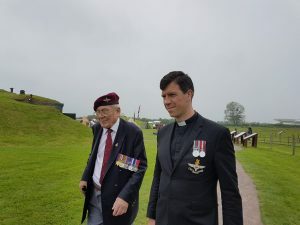 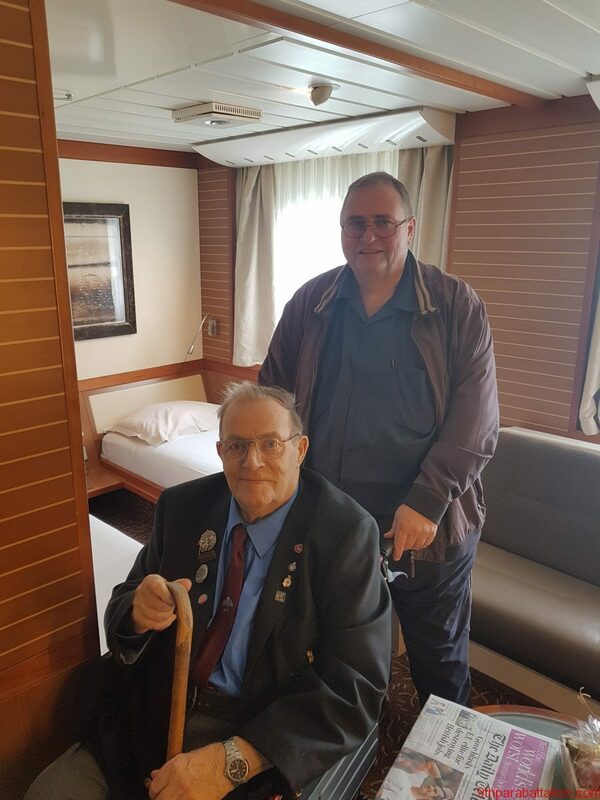 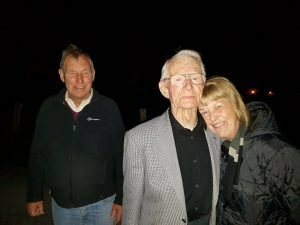 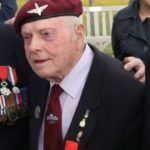 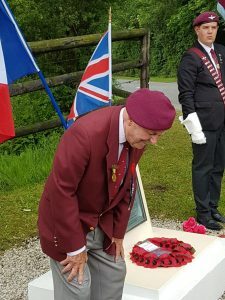 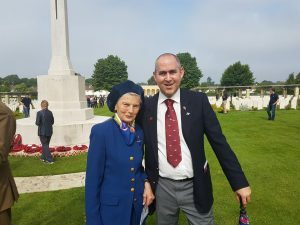 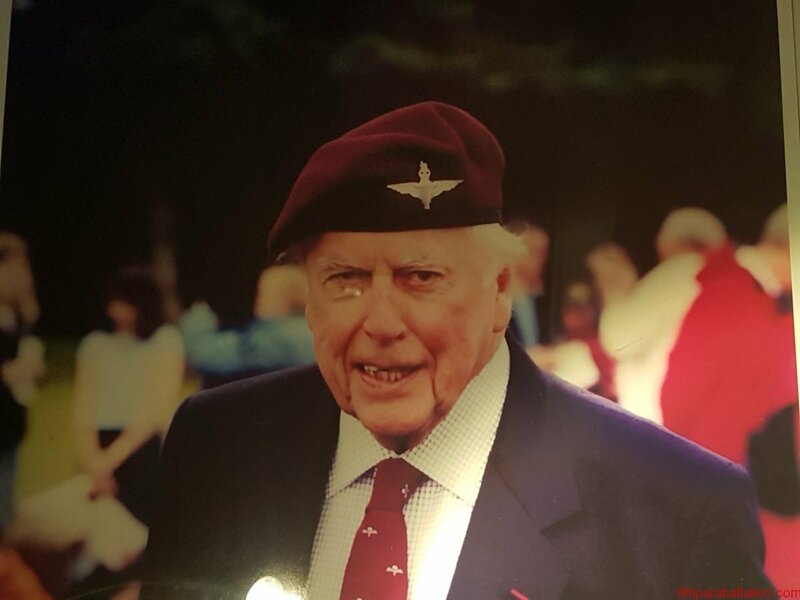 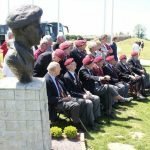 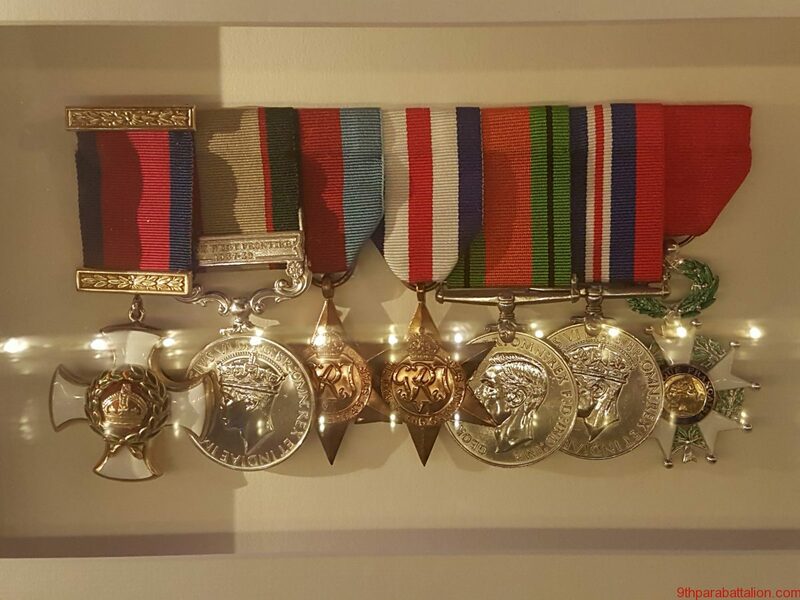 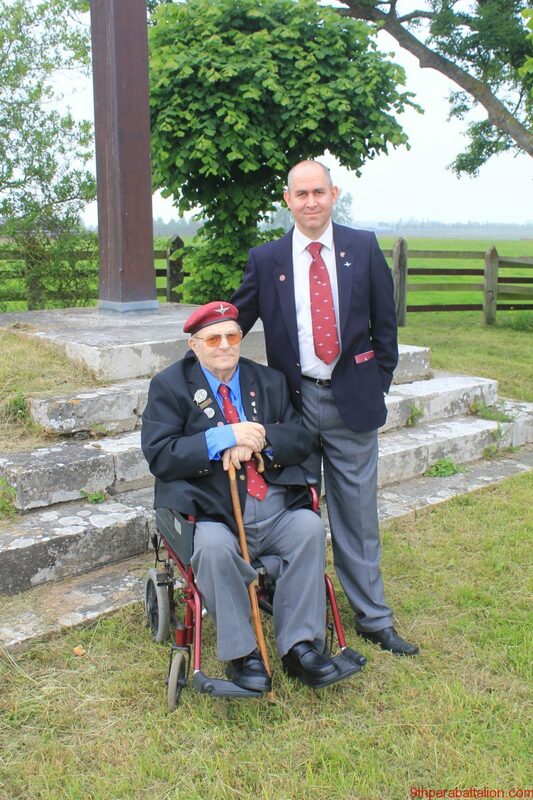 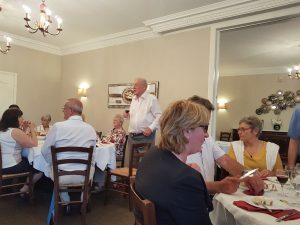 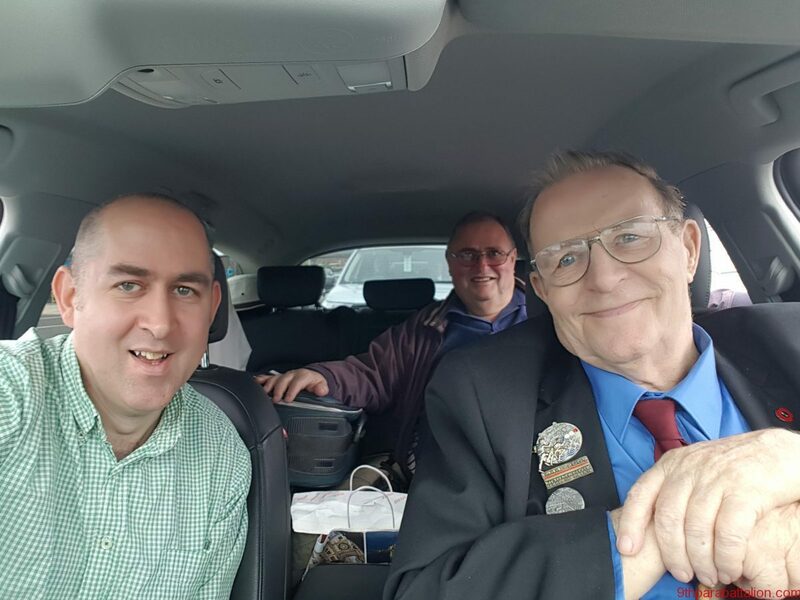 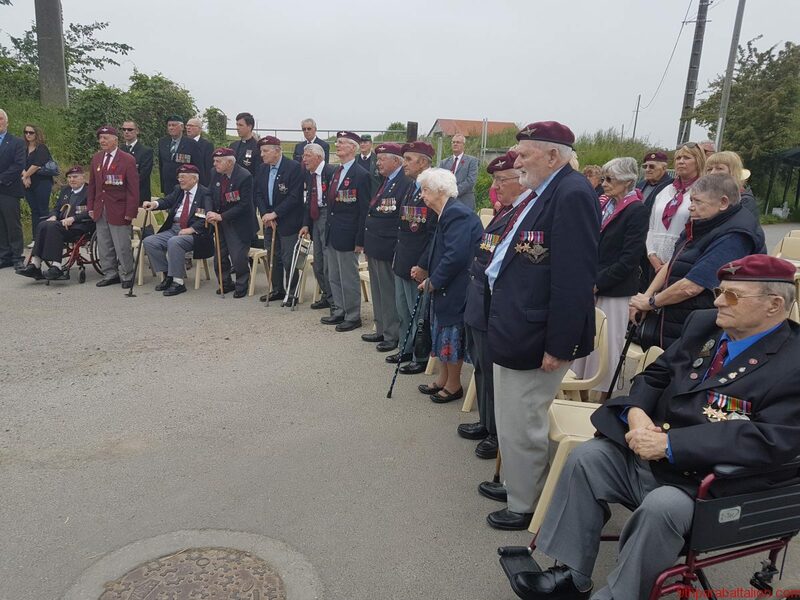 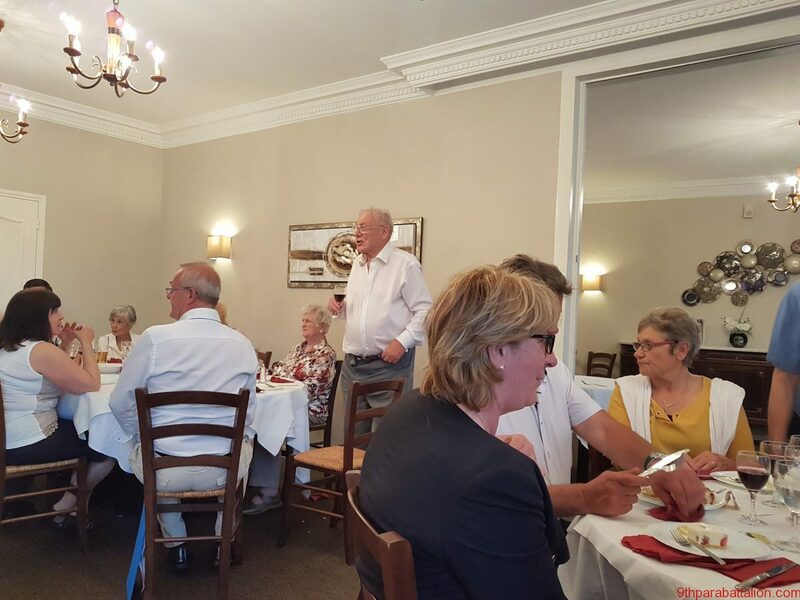 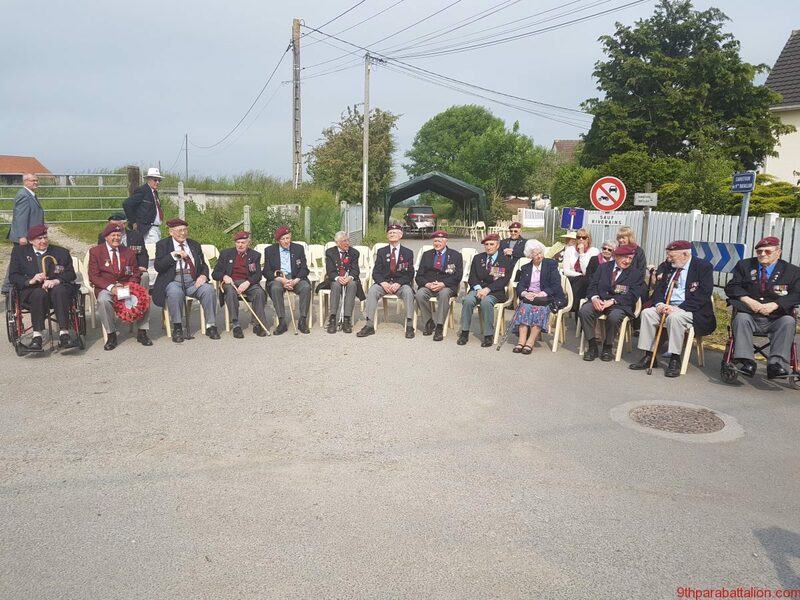 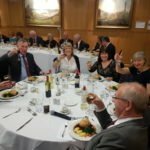 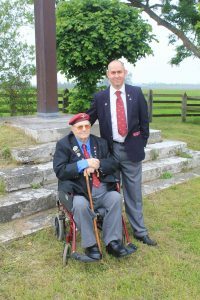 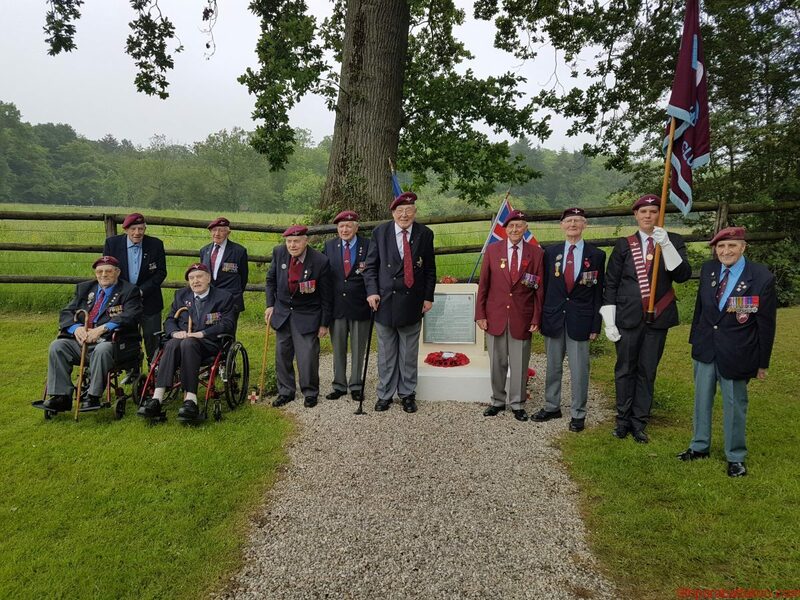 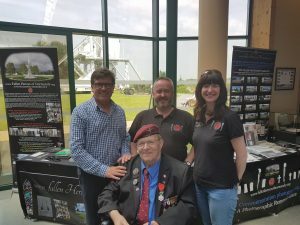 It was very special, not least because we were joined by a veteran of the operation, Fred Glover. Robin Savage was there to accompany us - and photograph the group for posterity. 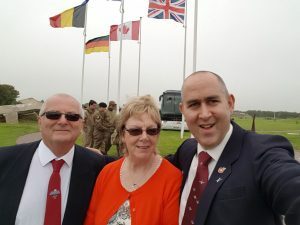 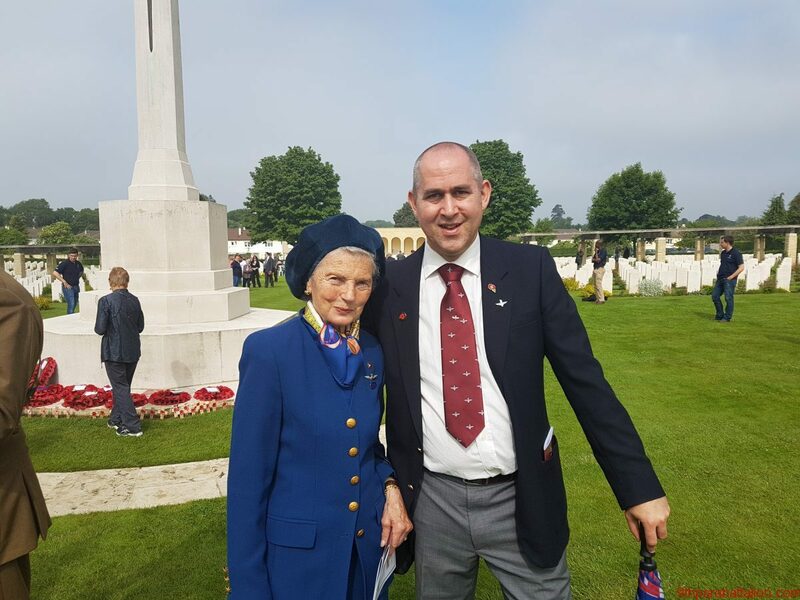 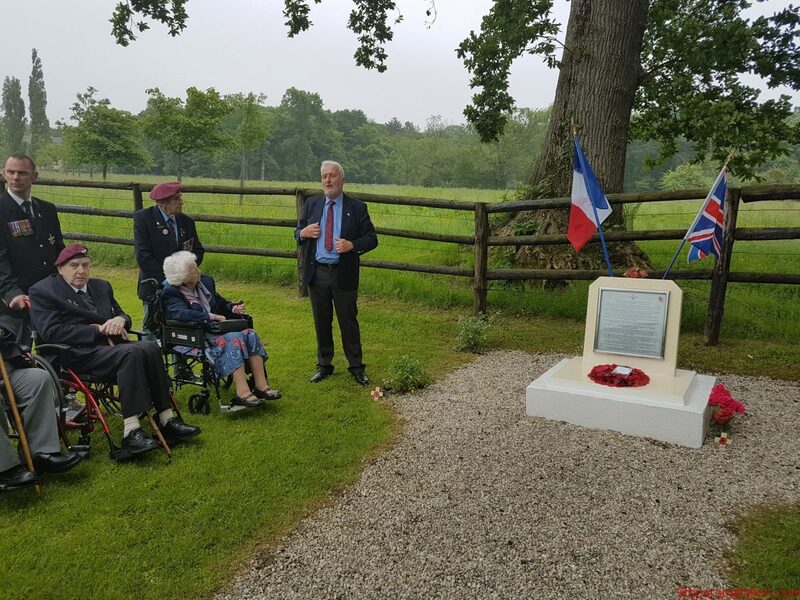 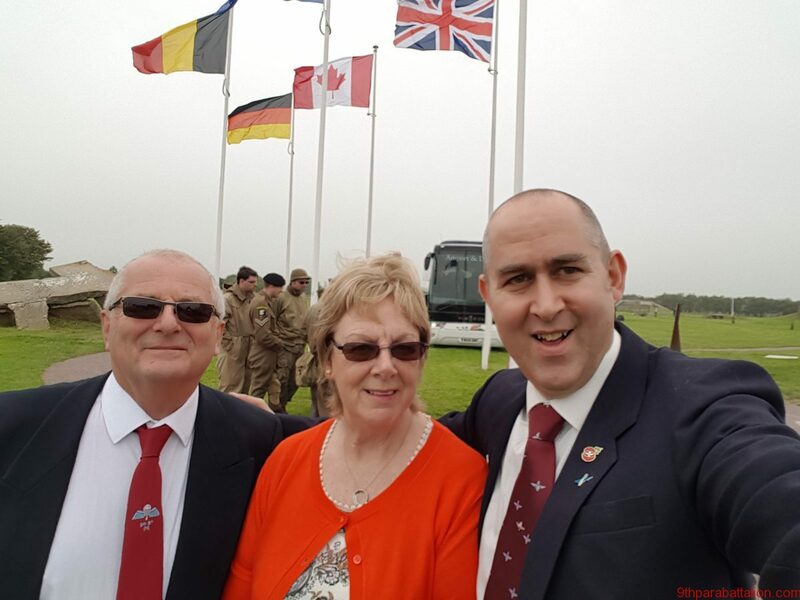 Fred Millward with Mark Worthington, Director of the Pegasus Memorial, and Carl & Irene Shilleto at the Fallen Heroes of Normandy stand. 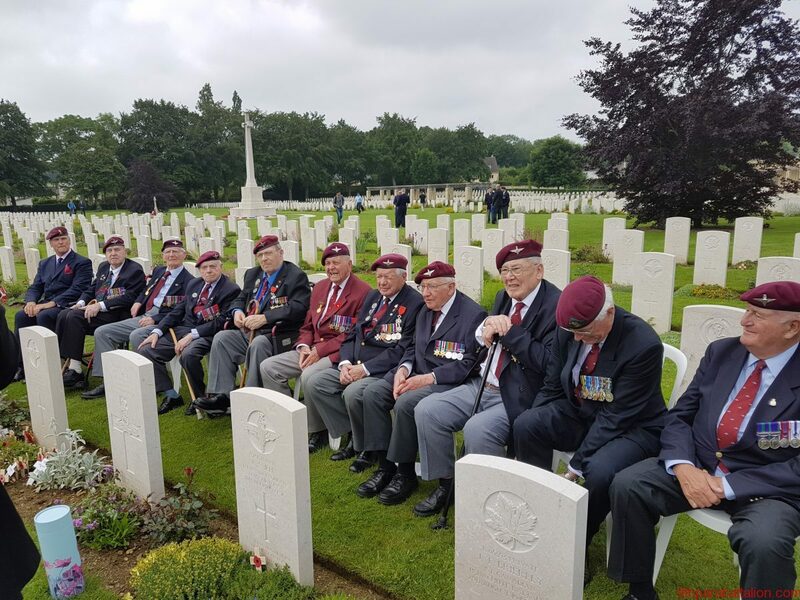 I love these 9th Bn Para men!